Remember when our frozen desserts came in individual packages and fun shapes? 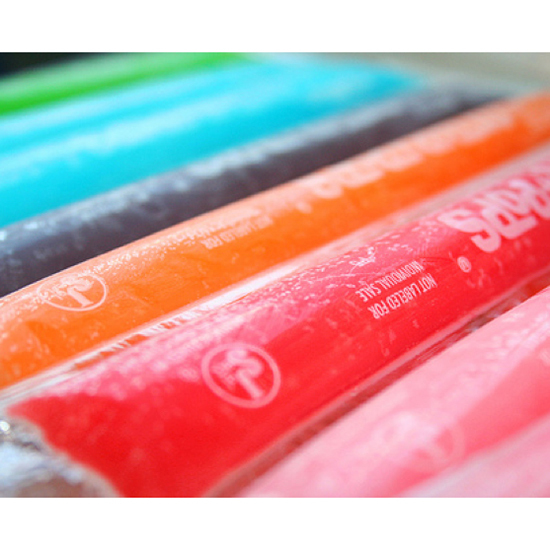 We each had our strategic way of eating a popsicle, and we all sucked down the last dregs of our Otter Pops. Let us pay homage to these 11 relics of our childhood freezers. Scooby Doo? Flintstones? Just plain rainbow? 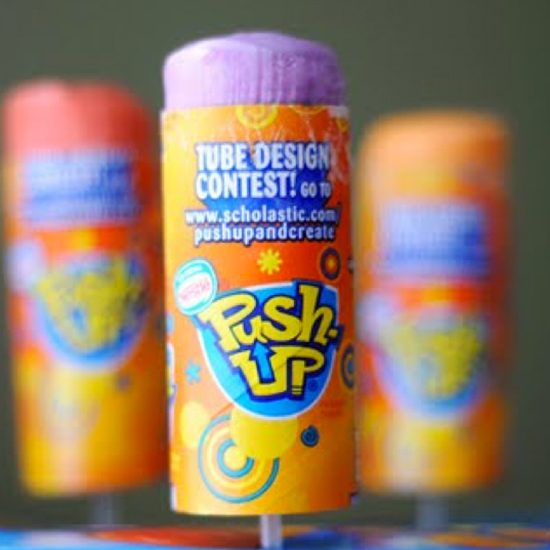 Regardless of which kind you had, Push-Up Pops were incredible (until the plastic straw handle broke). 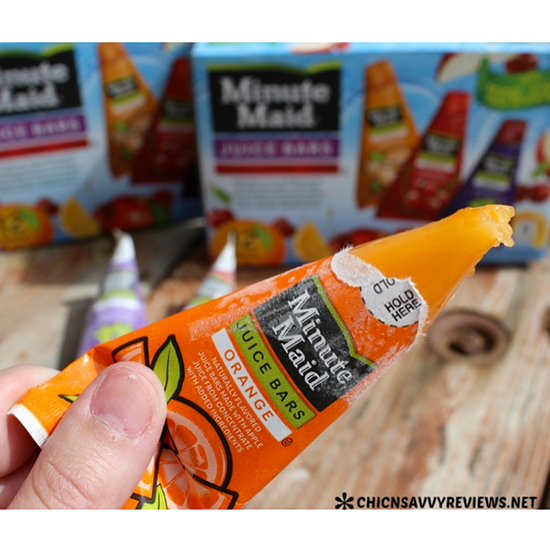 These treats from elementary school showed us that frozen fruit juice really is more fun when it comes in the shape of a pyramid. Pink Bubblegum, Blue Raspberry, Red Fruit Punch. Having the 100 pack of these in your freezer meant an immediate status boost among your friends, but it was a sheer tragedy when you couldn’t find the kitchen scissors to open them. Just holding one made you feel patriotic. 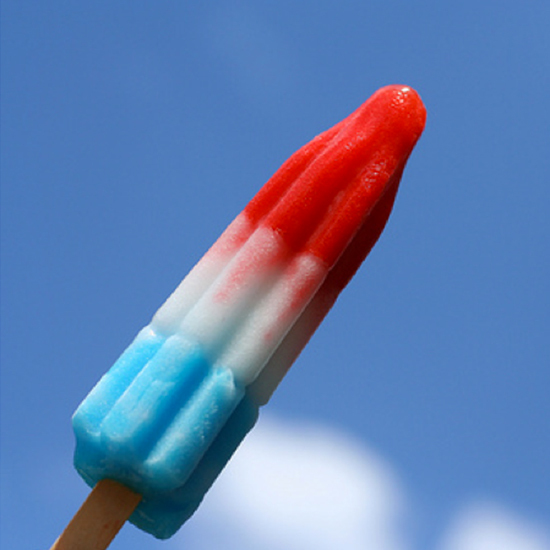 Somehow, these always ended up staining our tongues red and our Fourth of July outfits blue. It was popcorn for ice cream! 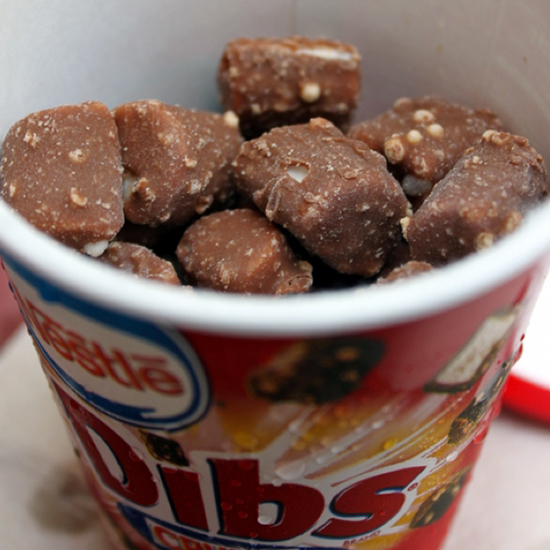 In a time before we counted calories, let alone number of Dibs eaten, it was dangerous to get our hands on a carton of these. 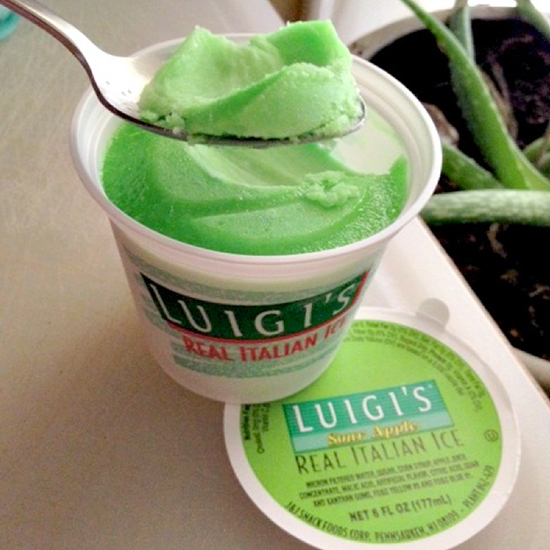 When our moms were on diets and our dessert options limited, these were the go-to treat. 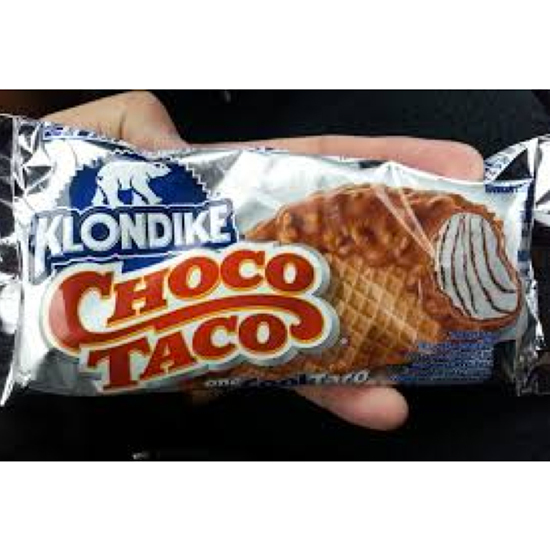 A waffle cone in the shape of a taco stuffed with ice cream and coated in chocolate — certainly a child’s dream come true. Skinny Cows weren’t the only “dieting” dessert. These frozen cups of fruit-flavored ice made us feel both healthy and fancy. 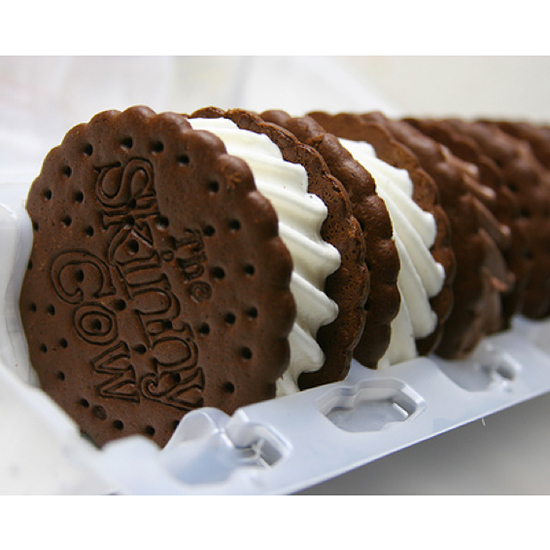 These were the ultimate reward dessert when we were allowed to go all out. 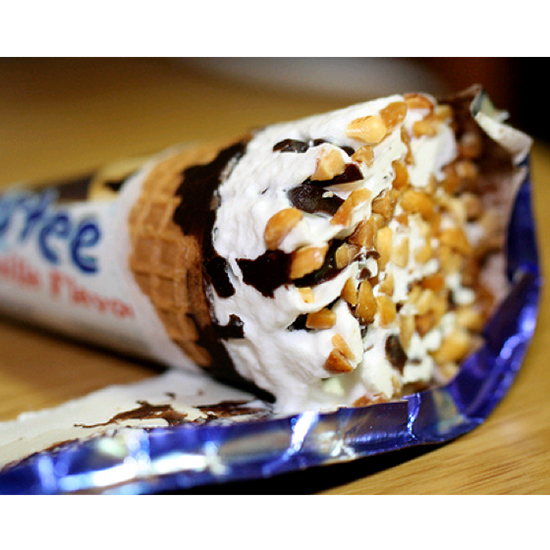 This was ice cream in a cone, coated in chocolate, and covered with copped nuts — any friend whose parents were willing to give these out was immediately made a BFF. 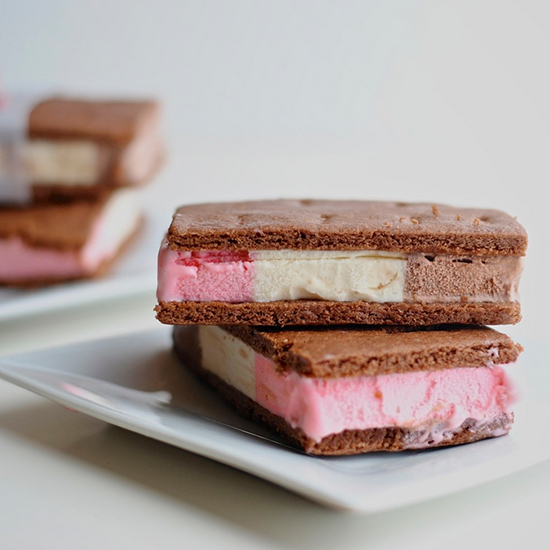 Rectangular goodness of strawberry, vanilla, and chocolate ice cream between two chocolate cookie slices. You definitely saved your favorite ice cream flavor for last. 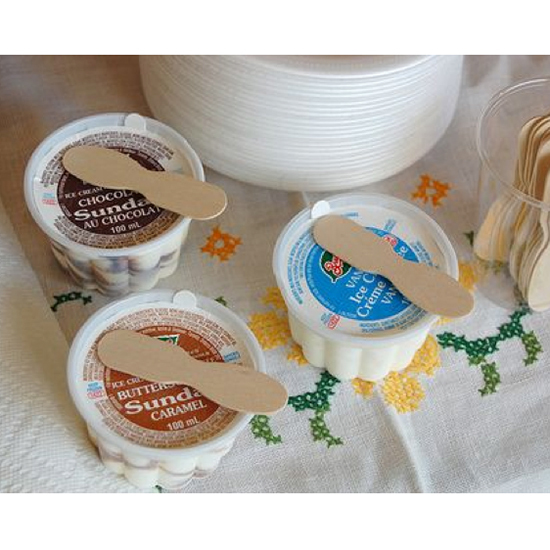 The little sticks of wood provided as spoons were puzzling, but these somehow made the tiny cups of ice cream better. Who knows what they were really called? It’s a shame they don’t give out popsicles as treats in college, but who says we can’t take a trip down memory lane by indulging in one of these sweet, colorful, oddly shaped treats?